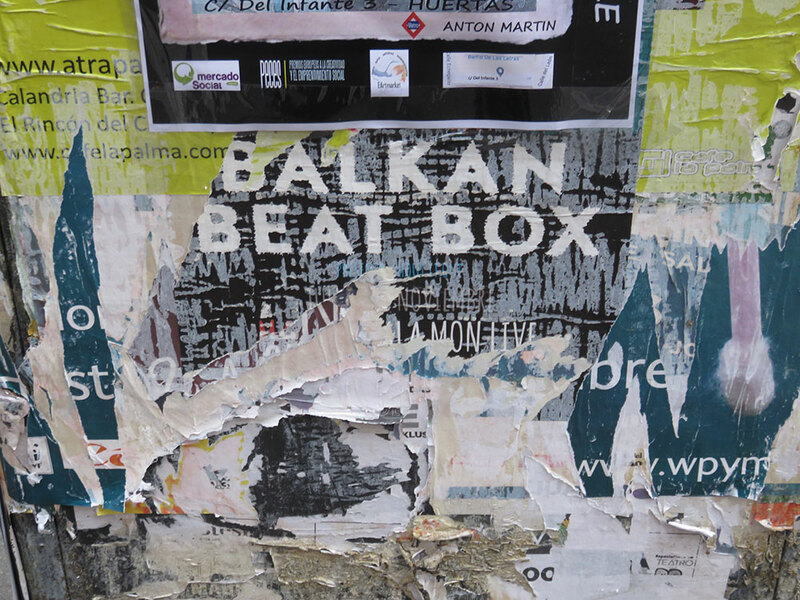 Is there a solution for the Balkan knots and misfortunes? The Alliance for Serbia and its 30 points became the subject of public criticism as soon as they appeared. There are two critical articles about it on Pescanik alone. In my statement for the newspaper Danas, I didn’t criticize the program itself, believing that such a conglomerate of ideologically diverse parties and movements doesn’t need it. It would have been enough to come up with a detailed proposal on fair and just elections, free media, and new electoral laws, and to open a public discussion with the authorities on these issues, with the support of the non-government sector and the representatives of the EU and the OSCE. That would have been the extent of the “program” that the Alliance for Serbia could launch, including the threat of boycotting, or refusal to participate in any future elections, under the present conditions. But even such limited action regarding electoral conditions shouldn’t be a topic in the current circumstances. Not only because Aleksandar Vucic’s autocratic regime is in power in Serbia, which is not at all inclined to agree to public debates about the democratization of the electoral process, but because Vucic will have to make a decision on Kosovo, which could put his government in danger. Therefore, the battle for electoral conditions would probably hit a wall that wouldn’t budge a single inch no matter what. The answer to the Kosovo issue will be the “make or break” moment for Vucic. Any changes in the direction of democratization, including free media, are far from Vucic’s mind in any circumstances, let alone now when his power is threatened because of the Kosovo issue. In addition, the opposition gathered in the Alliance sees the Kosovo issue as its chance to remove Vucic from power, which means that they will have to participate in the referendum or early elections under any conditions. Therefore, the struggle for the democratization of elections as the first priority of the opposition remains purely rhetorical. What is it that the Alliance has to offer to the voters, if we ignore the situation with Kosovo for a moment? In my opinion, very little. Even if we were to support such a diverse, politically uninventive, and untalented gathering of parties out of pure despair (not one of the parties had more than 5% of the vote! ), without leaders and clear political articulation, the goals and expectations must be very modest. Almost all points of the program cited by the Alliance have long been featured in the programs of right and national conservative parties that are politically closest to Kostunica’s DSS. In the current circumstances, that would be the National Party of Vuk Jeremic, which overlaps with Tadić’s Democratic Party when it comes to their program and electoral body. Therefore, it shouldn’t be surprising that all members of the Alliance are very familiar to us, from DSS and DS (plus the unnecessary Dveri), and that there is almost no one new, except for the president of DS (due to internal turmoil and disagreements, this party has a new president almost every year). With this Alliance, the opposition voters get only the status quo. Which means that the political alternative to Vucic is not articulated, and, as it turned out, according to the Alliance, not even necessary. In fact, the status quo now has an alternative meaning in the expected pivotal situation regarding Kosovo. Status quo (together with criticisms regarding robbery of the state) is used as the main argument for the Alliance to take on Vucic as a traitor and “Albanian lobbyist”, as Djordje Vukadinovic called him, in the referendum or early elections. As far as I can see, the status quo regarding Kosovo is considered the main weapon of the opposition to step out of the checkmate position Vucic has had them in for the last six years. No opposition party has suggested any other exit from such a position. Those who are not in the Alliance and who will not join it due to disagreements with the program and ideas, will probably fail to pass the census, because, among other things, the Alliance is also a census coalition. That’s why the Alliance can cash in on the theory that the removal of Vucic’s autocratic government is more important than the Kosovo issue and EU accession. Even if it makes sense to tackle these issues, they can be left for later, once Vucic is removed. He certainly won’t take us to the EU. The only place he can take us is Hell itself. This is how I understand the position of the Alliance, regardless of the specific points of the program, which were clearly just thrown together without much thought. Of the 30 points of the Alliance program, only point 5 seems to be crucial. It demands that the Serbian Constitution and UN Security Council Resolution 1244 be respected, and to oppose “any act that would result in the affirmation of international subjectivity, including UN membership, of the so-called “State of Kosovo”. It is crucial because it is the only weapon to remove Vucic from power. It does not allow him to sign a binding legal agreement that would allow Kosovo to get a chair in the UN, which is considered a full normalization of relations between Serbia and Kosovo, and the condition for continuation of Serbia’s EU accession. While many of us lived under the illusion that nationalist authoritarianism would collide with civil liberal democracy, it seems that we will get a collision of nationalists, who only care about staying in power, as usual. What does the Alliance count on in the upcoming battle over Kosovo? According to the information so far, Serbian voters are not inclined to recognize Kosovo and its separation from Serbia. The Alliance is counting on that, and we’re already hearing news about them organizing a campaign to sign a petition titled “we won’t give up Kosovo”. In my estimation, this calculation is very weak for at least two reasons. The first refers to Vucic’s control over the massive electoral body, his power of manipulation and propaganda, the excellent and uncompromising organization of his supporters, and his ultimate goal to remain in power at any cost. For this purpose, he is ready to break the law and use lies, scams, and violence. The second refers to the poor capacities of the Alliance, both organizational and motivational, to implement its own campaign. It doesn’t even have a charismatic leader able to motivate the masses, which is necessary in this situation. For these reasons, it is difficult to visualize the victory of the Alliance, even for those who believe in this calculation. On the other hand, Vucic will definitely have to sign the agreement if he wants to preserve power, because the loss of Western support means a rapid acceleration of his fall from power. It is the support from the West that has been keeping him in power, and not Russia or China, as his propaganda would have us believe. At the same time, free voters of the liberal-democratic orientation (not controlled by Vucic), national minorities and similar groups would probably be divided. A significant part of the civil-oriented voters would abstain, unprepared to accept the offer of the Alliance to reject a binding agreement with Kosovo and the path to the EU, however uncertain it may now seem, for the sake of some democratic values which were more present during the rule of the two democratic parties. Some of them would vote for the agreement with Kosovo and the West, regardless of the fact that they resent Vucic’s authority. Some of the votes would go to the Alliance, probably of the people who are convinced that removing Vucic from power is the most important, and that other important issues can be left for later. I assume that the tension will only rise as the time of the decision approaches. We will see how agile and passionate the opposing viewpoints will be. Of course, these estimates are purely hypothetical. Upcoming public opinion polls, as well as the very situation of a big decision, will be able to make much more accurate forecasts on how this fight will end. The final decision as to whether Serbia will bring down Vucic if he decides to give up Kosovo and sign the agreement will depend on what his offer will be. And that is still unknown. However, we know what he wants to present to the people. If he succeeds in persuading the US to allow Serbia a “demarcation”, that is, to take the four Serbian municipalities in the north of Kosovo, Vucic would get something and not nothing. He considers getting a piece of the “holy land” a compromise, in which case he would probably win an easy victory and stay in power. If such a “compromise” arises, Serbian critics of the division of Kosovo would become the ultimate opponents of such an outcome, and the extent of their power and influence remains to be seen. The game will obviously be complicated and somewhat uncertain. The problem is that the result of this clash will not be an ultimate solution of the Balkan knots. We must not forget that, even if Kosovo is somehow resolved, Vucic or some other Serbian government will continue the nationalist game with Republika Srpska. They will begin to fight for the dissolution of B&H by trying to join Republika Srpska to Serbia. Thus, conflicts, instability, nationalism, and authoritarianism, but also poverty, Serbia’s lagging behind, and the migrations will continue. I have always felt that leaving behind all ethno-national issues is the only salvation for the Balkans, and especially for Serbia. In my opinion, the only way to end such policy and resolve the issue of the Western Balkans is for the EU to immediately and without delay (under the condition of acceptance of all existing borders) accept all Western Balkan countries as members. It is only about 20 million people, compared to half a billion people already living in the EU. Why are these newcomers such a threat to the EU, if we remember that some of its members, like Greece, are far more disorganized than other Balkan countries? Greece doesn’t even have a cadaster; the land there is taken and claimed in the manner of the Wild West, which is why people continue to die in arsons. This is the only solution to all national issues and conflicts, which can’t be solved without a common platform and the introduction of order. This would also take away Johannes Hahn’s fear that Beijing will turn Balkan countries into Chinese “Trojan horses” and impose “a Chinese combination of capitalism and political dictatorship”. But, his friend Vucic had already thought of this without help from the Chinese. And he is not the only one who likes this model. Nor is this problem constrained to our region, as Han thinks, but also affects the least expected regions. This would also solve the question of who is whose “Trojan horse” – we would all be European ones.